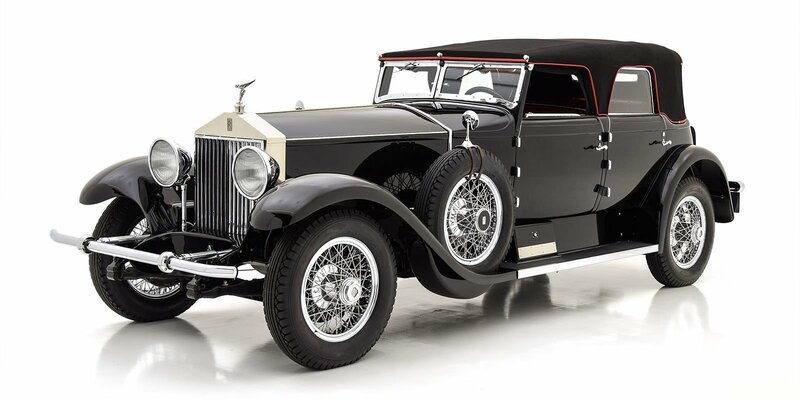 Presented in a striking Burgundy and Vermillion paint scheme, this 1930 Cadillac Series 452 wears Fleetwood’s handsome 2/4 passenger coupe coachwork known officially by the catalog job number 4376-S. This gorgeous example in marvelous condition with an older yet gorgeous nut-and-bolt restoration. 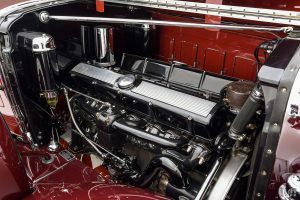 Fleetwood’s 4376 Coupe is a sporty, elegant body style for the owner-driver, and this particular car has several interesting characteristics. 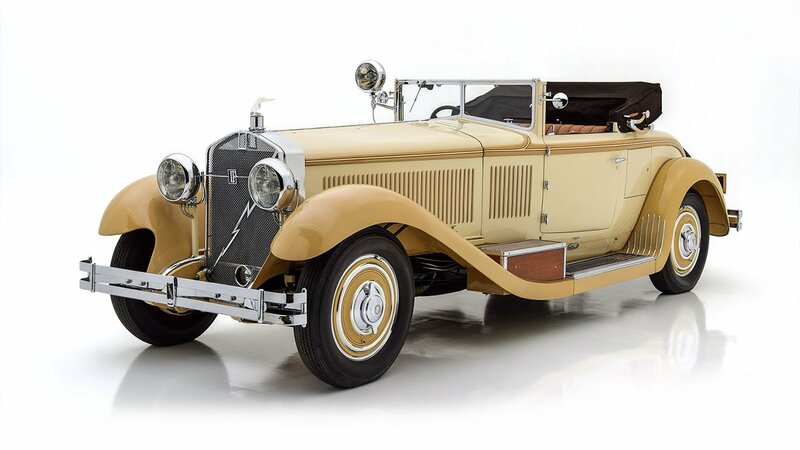 The styling is a breathtaking display of Harley Earl’s mastery, beautifully proportioned on the long 148-inch wheelbase chassis. The scalloped hood/cowl treatment reflects the earlier, European-influenced LaSalle design. The Fleetwood-specific split-V swing-out windscreen is raked at 7 degrees, lending the car a very sporting look in profile. 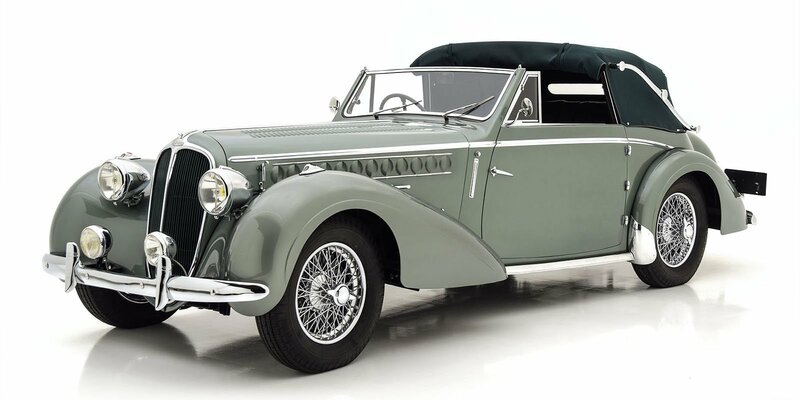 This car’s special features include dual side mount spare wheels with body color metal covers; a period accessory rarely seen on these early V16s. 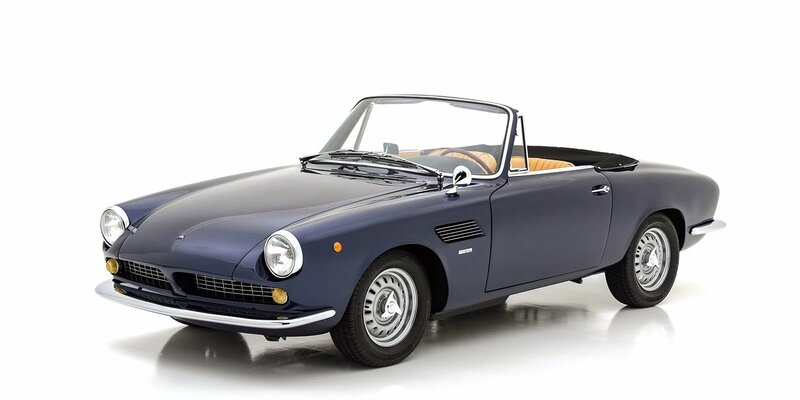 Also, the roof is covered in leather and fitted with landau irons for a faux-cabriolet appearance, also unusual since most of these cars left Fleetwood with a painted roof. 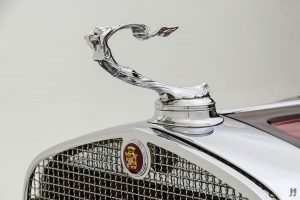 There is some speculation that this car and a similarly-equipped V16 with Fleetwood’s 4335 Convertible Coupe coachwork were ordered in period as a matched pair. 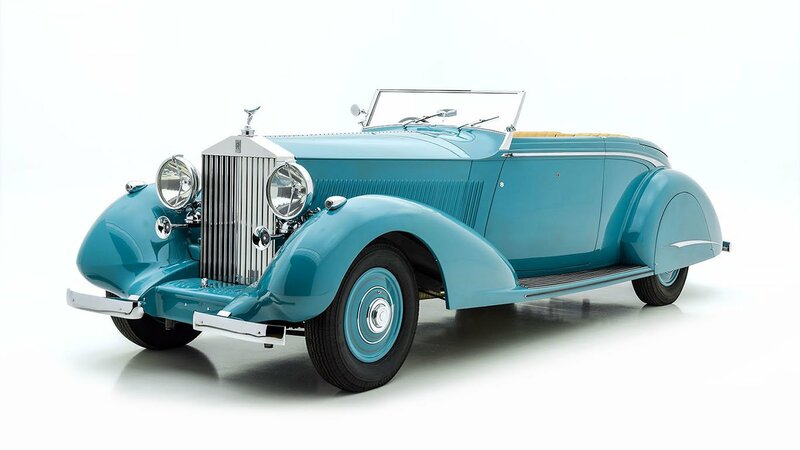 Today, this car’s older restoration is exceptionally well-maintained, with beautiful paintwork and high-quality chrome plating. Bright red wire wheels wear black wall tires, giving the car a purposeful and sporting appearance, while subtle red coach stripes tie the color scheme together. 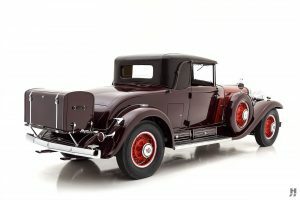 The Fleetwood-built coupe was a car intended for the owner/driver, and the cabin reflects its sporting purpose. Red leather covers the seats and door cards, which is pleasingly broken-in with some light creasing and character on the seating surfaces. The same leather repeats on the dash top, while scalloped wood door caps add a touch of formality. 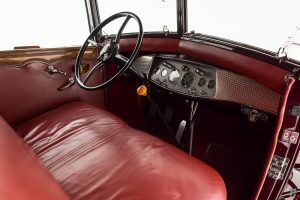 The upholstery is outstanding and consistent with this car’s high-quality restoration. The stylish engine-turned dash features a centrally-mounted instrument cluster, housing factory-correct AC gauges and a Waltham clock. Rumble seat passengers enjoy a reasonably spacious seat, covered in matching red leather, and a golf door allows for small items, while the color-keyed factory trunk accommodates plenty of luggage for long-distance touring. Controls for the original radio remain in place on the dash, while the receiver and speaker are included separately.